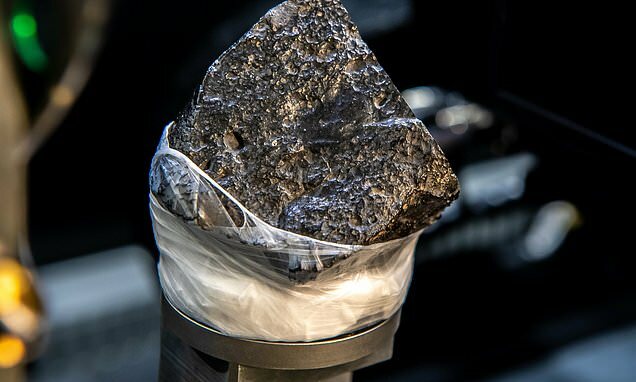 According to the Army Research Laboratory, Black Beauty – a 2 billion-year-old meteorite that scientists say was blasted to Earth from Mars by a large impact event – is among the space specimens to be examined in a joint program with NASA. Using CT scans, researchers say they're able to glean new insights into the inner workings of the objects, rendering 3-D, high resolution images which NASA calls a potential 'goldmine' for further research. 'NASA can ultimately use some of this information to further their understanding for their next mission to Mars,' said Dr. Jennifer Sietins, an Army materials engineer. 'What's unique about Black Beauty is that it's one of the oldest Martian meteorites that has been discovered on Earth and it's been proven to have some evidence of water.